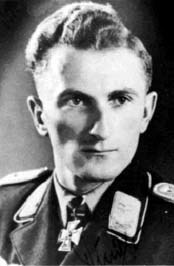 Fritz Dinger was born on 20 August 1915 at Ottweiler in Saar. He joined the Luftwaffe pre-war and trained as a fighter pilot. Dinger was posted to JG 53 in August 1939. Unteroffizier Dinger was assigned to 4./JG 53. He participated in the French campaign and the Battle of Britain. On 16 August 1940, Feldwebel Dinger was shot down and wounded. He was forced to come down in the sea 50km north of Cherbourg where he was rescued by the German air-sea rescue service.  He was promoted to the rank of Leutnant on 1 November 1940. Operating over the Eastern front, Dinger gained his first victory on 1 July 1941. By the end September he had raised his total to 11. On 5 October, he force-landed Bf 109 F-4 (W.Nr. 7187) near Solugubowka following aerial combat. Dinger escaped injury. In October 1941, II./JG 53 was relocated to the North Sea coast based at Leeuwarden in Holland. Dinger claimed a RAF Blenheim twin-engined bomber shot down on 27 October to record his 12th victory. II./JG 53 were relocated to Sicily in December 1941. He claimed six RAF fighters shot down over and around Malta during spring 1942 (13-18). On 26 July 1942, Dinger was transferred to I./JG 53 based on the Eastern front. Leutnant Dinger was assigned to 1./JG 53. During the summer months of 1942, Leutnant Dinger claimed 30 Russian aircraft shot down, including 29 victories from 1 to 22 September alone. On 15 October 1942, Dinger was appointed Staffelkapitän of 4./JG 53 based on Sicily in the Mediterranean theatre. Leutnant Dinger was awarded the Ritterkreuz on 23 December for 49 victories. He was promoted to the rank of Oberleutnant a short while later. On 4 June 1943, he recorded his 60th victory. Dinger was killed by bomb fragments in an allied bombing raid of Scalea on 27 July 1943.